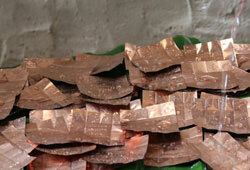 Magha is a star that has great potential both in material and in spiritual realms. 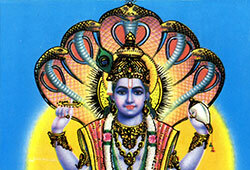 This coming Masi Magha is a great time to receive blessings from Enlightened Souls and also from your own Ancestors. The day marked by the brightest star in Leo constellation, Magha, in the Tamil month of Masi is when special cosmic energy fills the earth plane, enabling you to increase your abundance and help elevate the souls of your ancestors. 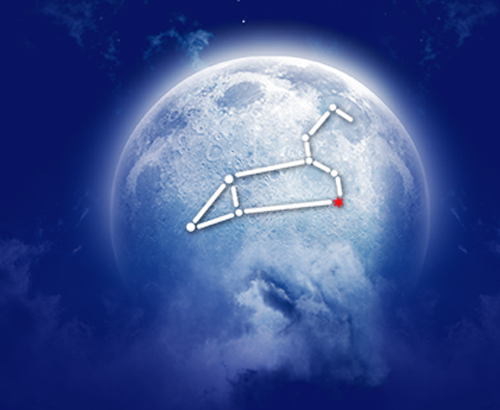 This once-in-a-year event can help you magnify your prosperity and royalty consciousness as the star energy of the day carries the qualities of a King. Masi Magham day also supports you seek the blessings of your ancestors, as the presiding deity of Magha star is Pitris (ancestors). 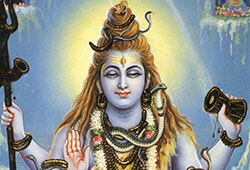 According to the scriptures, when Brahma (Creator God) understood Lord Shiva’s plan to recreate the universe after destruction, he asked about the methodology to recreate the world. Lord Shiva asked Brahma to fill a Kumba (pot) with Amrit (elixir) and the source energy for creating the world and place it at the top of Mount Meru. 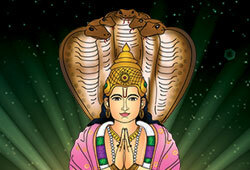 Brahma requested Shiva to begin his creation activity from the place named Kumbakonam (sacred temple city in Southern India), where he found the pot, on a Magha star day in the Tamil month of Masi. Hence, Masi Magham is an ideal day to wash away your painful karma and curses and start anew to lead a healthy life with the blessings of your ancestors. According to Powerspot faith, performing this special Pooja to Lord Kumbeshwarar at the Kumbakonam Powerspot can fulfill your wishes and bless you to create and multiply your abundance. According to scriptures, Lord Vishnu incarnated as Varaha (boar) Avatar on Masi Magham to save the earth from the underworld. 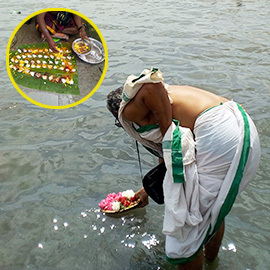 Performing this special Pooja to Lord Vishnu at Sarangapani Powerspot on this day can help realize wishes and fulfill desires. 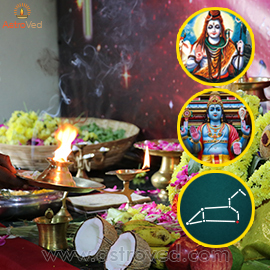 As per Powerspot practices, performing a Pooja to Naga (Ketu), who is the ruling planet of the star Magha can negate bad effects & illnesses and bestow you with good health, wealth and all-around prosperity. 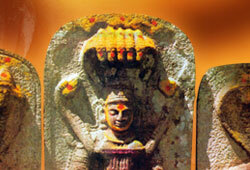 According to the scriptures, on this day, River Goddess Ganga purifies all water sources. Immersing a copper sheet engraved with your birth chart in the sacred tank of Kumbakonam Powerspot is a proxy technology that can wash away your sins and relieve you from the adverse effects of the planets. According to Powerspot mythology, Kumbeshwarar (Shiva) is the supreme lord who helped Brahma in recreating the entire universe from a sacred pot (Kumbam). Performing this sacred fire prayer to Lord Kumbeshwarar on the day of Masi Magham can invoke the graceful blessings of Lord Shiva and bestow you with overall victory and prosperity. 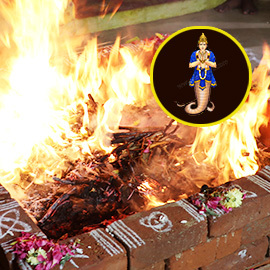 As per tradition, performing this sacred fire prayer invokes the blessings of Ketu and can pacify the nodal planet for overall prosperity, fiscal fortunes, and good health. This year, Masi Magham falls on a Full Moon day. According to scriptures, performing Satyanarayana Pooja on a Full Moon day is considered auspicious and can bless you with good progeny, prosperity, happiness, wealth and a contented life. Perform Tarpanam to your ancestors at Rameshwaram on Masi Magham. 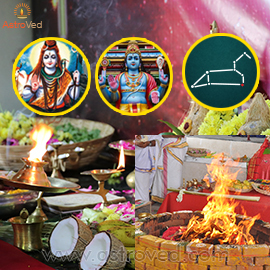 This ancestral ritual when performed on the day of Masi Magham can help elevate the souls of your ancestors and bring you their blessings to start anew with abundant health, wealth and loving relationship. 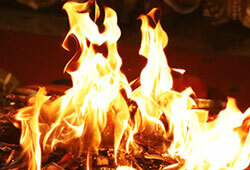 Book your Individual Kumbeshwarar Homa on Masi Magham day. This individual homa invokes the blessings of Lord Kumbeshwarar. Performing a sacred fire prayer to Lord Kumbeshwarar on the day of Masi Magham can invoke the graceful blessings of Lord Shiva and bestow you with overall victory and prosperity. The day marked by the brightest star in Leo constellation, Magha, in the Tamil month of Masi is when special cosmic energy fills the earth plane, enabling you to increase your abundance and help elevate the souls of your ancestors. Magha is also the star of the Pitrus (ancestors). Participate in our Masi Magham essential ceremonies to wash away your painful karma and curses and start anew to lead a healthy life with the blessings of your ancestors. The day marked by the brightest star in Leo constellation, Magha, in the Tamil month of Masi is when special cosmic energy fills the earth plane, enabling you to increase your abundance and help elevate the souls of your ancestors. Magha is also the star of the Pitrus (ancestors). 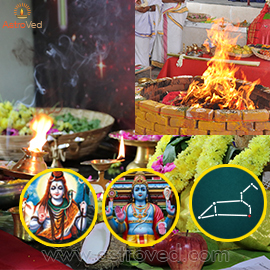 Participate in our Masi Magham enhanced ceremonies to wash away your painful karma and curses and start anew to lead a healthy life with the blessings of your ancestors. The day marked by the brightest star in Leo constellation, Magha, in the Tamil month of Masi is when special cosmic energy fills the earth plane, enabling you to increase your abundance and help elevate the souls of your ancestors. Magha is also the star of the Pitrus (ancestors). 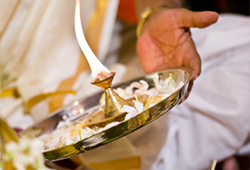 Participate in our Masi Magham elite ceremonies to wash away your painful karma and curses and start anew to lead a healthy life with the blessings of your ancestors.